This diagram illustrates the primary responsibilities, functions, and services of the Office of Planning, Research and Assessment. 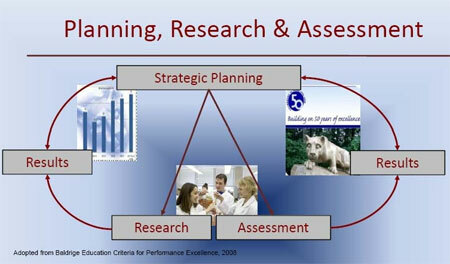 The Planning, Research and Assessment Office (PRA) is dedicated to conducting quality research and assessment to inform the strategic planning process and decision making for Penn State Berks. View the PRA strategic plan.